Let’s say your players are trying to get past a squad guards. Maybe they take the stealthy approach, knock out a patrolman, and sneak in through a small grating. And being the sensible GM that you are, you rule that this plan will either work fail depending on the dice. What if one of them decides to dress as a hula girl and make a scene on the front porch to distract (or maybe just confuse) the guards while the others walk right in? I suggest it’s NOT the GM’s job to make reasonable objections like, “the grass isn’t long enough to make a hula skirt,” or, “where do you get the coconuts?” Just like in the more “realistic” scenario above, your job is to ask for a Performance or Ruse roll, and let the plan work or fail – again, depending on the dice. It sounds obvious, but players want to make things HAPPEN. In both examples above, something is happening: the players have a plan they like for trying to get around the guards, and it’s a plan that’s entertaining them, and that’s what they’re here for. If you’re arguing about how long hula skirts take to weave together, nothing is happening, and it’s not fun. Don’t worry; you won’t lose control of the group if you assume they’ve made a hula skirt and get on with the next scene… where they’ll either get in or get busted – depending on the dice. Don’t get me wrong: the GM should be realistic in the sense of being challenging. But when players suggest a cartoony way of solving a problem, they’re usually not trying to make it easy on themselves – they’re trying to make it cartoony, because that’s what they want. If you’re prevent them, you’re not making it challenging, you’re forcing them to play the game you want. If your players want a gameworld where it’s possible to reload flintlock pistols by jamming them into an inverted top hat filled with powder and shot, why not? Make it challenging by making them aim. Make them run out of ammo. Tell them what they’ll need to roll to make it happen. But don’t question whether or not it’s what should be happening. This is their game too. What helps me is envisioning my games actually looking like those late 90s cartoons like Atlantis or El Dorado. Those movies are realistic in that they have characters facing dangers and significant choices, yet they allow characters to deal with those dangers in fun and silly ways. And even in a cartoony setting, you can still have intense emotion, tough choices, suspense, and sacrifice. In fact, a campaign that feels outside this world will just challenge your players’ imaginations that much more. Sure, if you’re playing a grim, dark, serious game, that’s fine – because your players probably signed up for that. 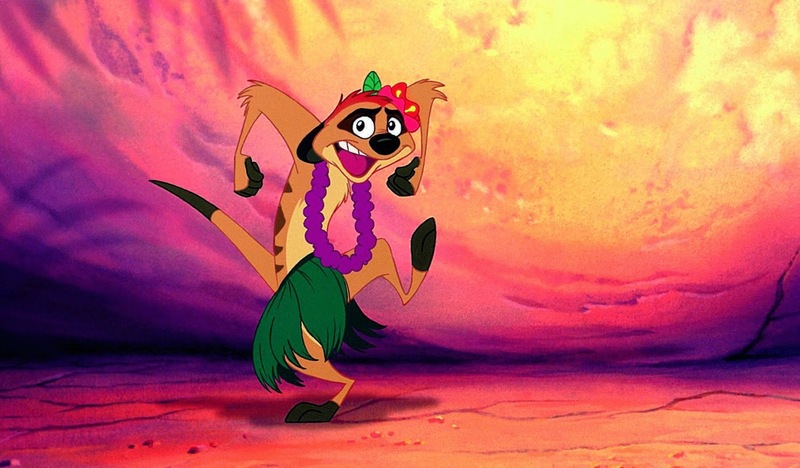 But if they want hula skirts, let them have hula skirts. Your job is to keep the story moving. Be the cool guy. Give their ideas a fair dice-toss… then make them live by it.